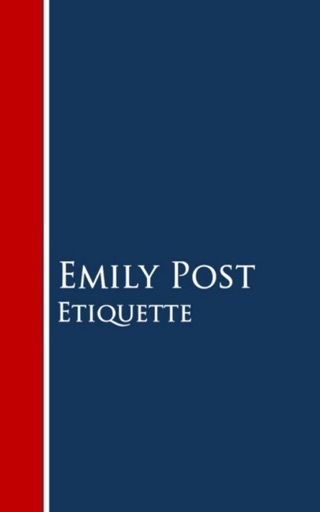 Far from being a proscriber of minutiae, Post the philosopher offers a way of living: “Manners are made up of trivialities of deportment which can be easily Etiquette in Society, in Business, in Politics, and at Home (frequently referenced as Etiquette) is a book authored by Emily Post in 1922. The book covers manners and other social rules, and has been updated frequently to reflect social changes, such as diversity, redefinitions of family, and mobile technology. 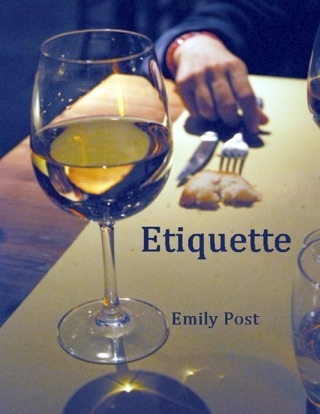 The 18th edition of Etiquette (2011), is authored by Post's relatives Peggy Post, Anna Post, Lizzie Post, and Daniel Post Senning. 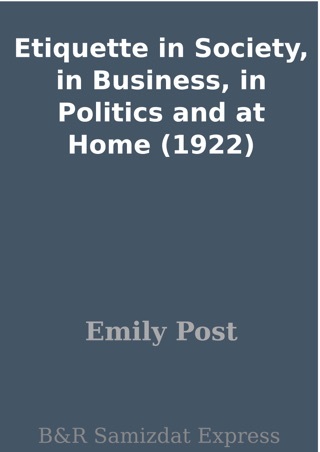 Etiquette in Society, in Business, in Politics, and at Home (frequently referenced as Etiquette) is a book authored by Emily Post in 1922. The book covers manners and other social rules, and has been updated frequently to reflect social changes, such as diversity, redefinitions of family, and mobile technology. 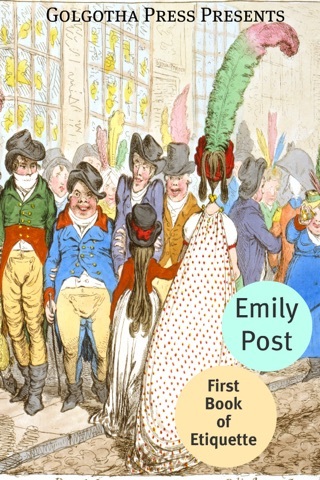 The 18th edition of Etiquette (2011), is authored by Post's relatives Peggy Post, Anna Post, Lizzie Post, and Daniel Post Senning. 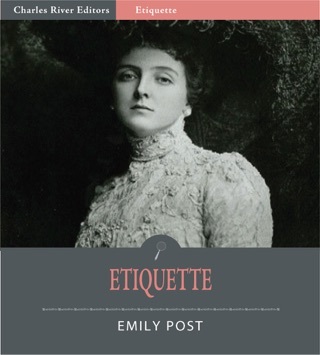 Etiquette in Society, in Business, in Politics, and at Home (frequently referenced as Etiquette) is a book authored by Emily Post in 1922. 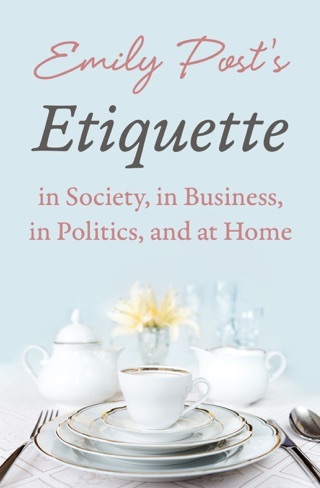 The book covers manners and other social rules, and has been updated frequently to reflect social changes, such as diversity, redefinitions of family, and mobile technology. 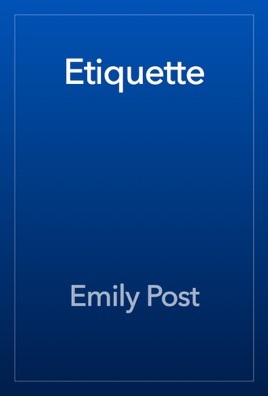 The 18th edition of Etiquette (2011), is authored by Post's relatives Peggy Post, Anna Post, Lizzie Post, and Daniel Post Senning.